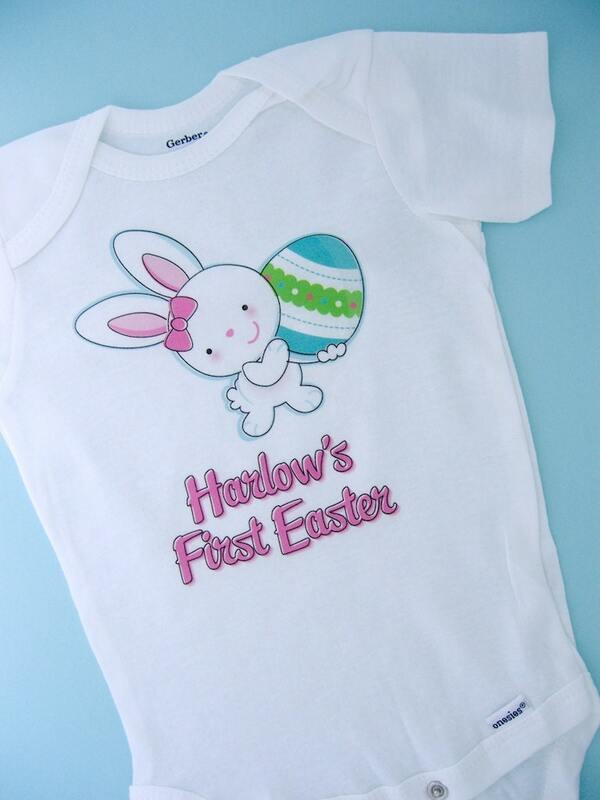 Easter Outfit for baby, Super cute Personalized First Easter tee shirt or Onesie with Name. The wording on this item can be changed if you prefer something different. 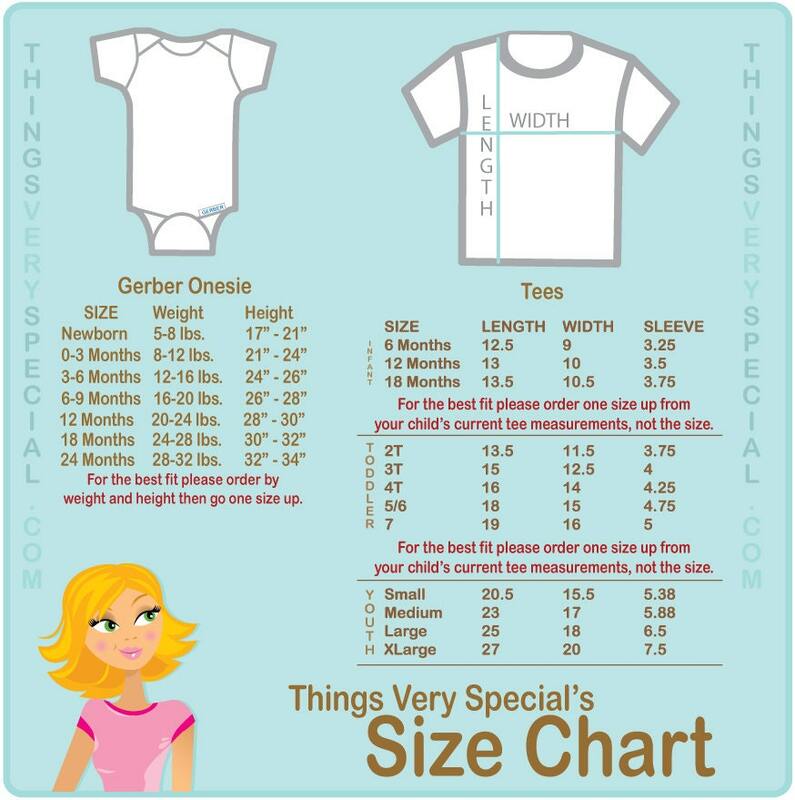 As usual, great quality, fast shipping, and exactly as pictured. So cute!!! 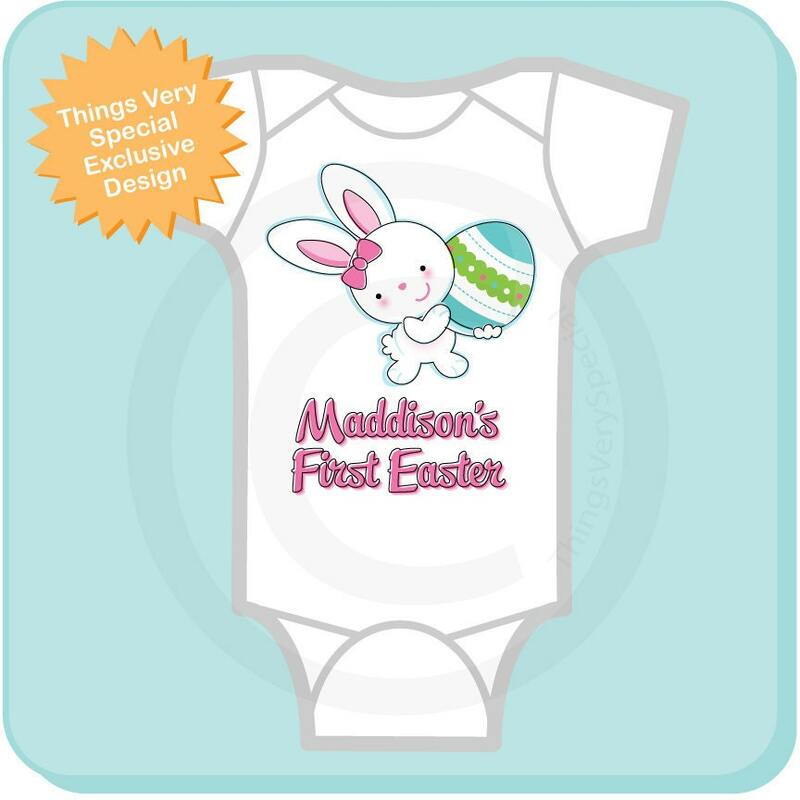 & love how it's personalized! Thanks! Cute, but the lettering is a little hard to read.